Dr. Russell has a long standing relationship with Bipolar UK, an excellent charity that supports those with bipolar and their carers. On July 23rd 2014 she headed up to Bipolar UK in their Pimlico office to run an introduction to mindfulness workshop for a staff training event. Sixteen staff from around the country attended and had lots of questions and queries about mindfulness. One participant had a long standing practice and a few had “dabbled” through various courses. Common to many people who attempt to start practicing mindfulness, many indicated it was hard to keep up the practice once the course had ended. We had a few real beginners minds, those who knew nothing about mindfulness at all. They were directed them to the Mental Health Foundation: Mindfulness Finder where you can put in a post code to find a qualified teacher. 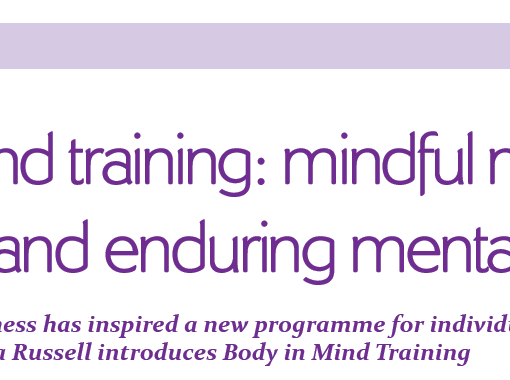 In terms of when to train in mindfulness, it is recommended to do this training in a period of remission. In my academic work, it has shown that mindfulness training during a period of remission is helpful to manage the anxiety experienced by those who are otherwise well. It also helped with work and social performance and many participants found the training to improve their relationships with others. This paper is still in preparation but hopefully will be published soon. They also were curious about how to use mindfulness as a means to support those in a crisis. Dr Russell has been working with the peer supporters from the Lambeth-based Solidarity in a Crisis. These peer supporters have been trained in mindfulness for their own psychological resilience as they complete this important work but are also trained in how to deliver basic mindfulness and grounding exercises that can be helpful in a crisis. Solidarity in a Crisis was launched on 1 April 2012. This is a new crisis out-of-hours Service in Lambeth delivered by people with lived experience of mental health issues including carers. The service will operate out-of-hours over the weekend with peer supporters on-call during each shift: Friday 8pm to 2am, Saturday & Sunday 8am to 2pm & 8pm to 2am. To find out more or refer someone, call 07795 037 320 or email outofhours-solidarity@certitude.org.uk. 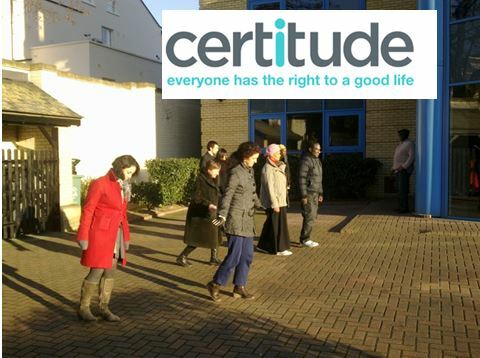 Peer supporters from Certitude practicing mindful walking.